Some very exciting news this month is that Blackthorn & Brook will be supporting the Countryside Alliance’s North American Chapter at their auction in New York. The auction will be held on Wednesday 19th November 2014 at the Racquet & Tennis Club, New York and raise money for Countryside Alliance in the UK. An event that has run for over 25 years, we are honoured to announce that a Blackthorn & Brook hunting vacation will be among the lots in 2014. Each year the auction catalogue is stuffed with exciting sporting opportunities. 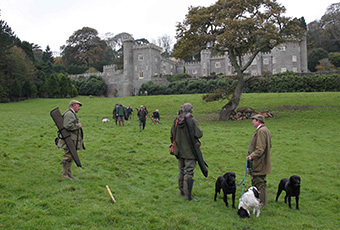 Past years have boasted salmon fishing on the river tweed, shooting at Caerhays Castle in Cornwall and hunting with some of England’s finest packs. If you would like a chance to bid please contact Lady Emma Mancroft of the Countryside Alliance at theladymancroft[at]countryside-alliance.org and quote Blackthorn & Brook. Our offering is a luxurious four-night stay in England for two. 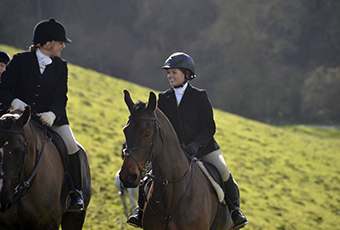 On the itinerary are a day’s hunting with the Blackmore & Sparkford Vale Hunt, a long ride around the breathtaking Stourhead Estate and a night at the theatre in London. As ever, you can anticipate, safe, high quality horses, a prize-winning English Country pub as your lodgings and a Range Rover and driver on hand throughout (including airport service from London). You can find the full listing via the countryside alliance – again please contact Lady Mancroft via the details above. Unfortunately both we are guiding a vacation on the day of the auction because we would have loved to have been there! Happy bidding! This entry was posted in Hunting Diaries Blog by Ben. Bookmark the permalink. Let us know if you have any questions or leave your details and either Ben or Megan will be in touch. Please note, throughout our website we use the term fox hunting to mean all of the activities carried out by our participating hunts operating within the constraints of the Hunting Act 2004.